The Veritas Project team has a new assignment: to find the truth behind the mysterious disappearance of two runaways. When one runaway turns up totally out of his mind and a government agent steps in to take over the case, the Springfields continue their own investigation. The twins - Elijah and Elisha - go undercover, posing as runaways. 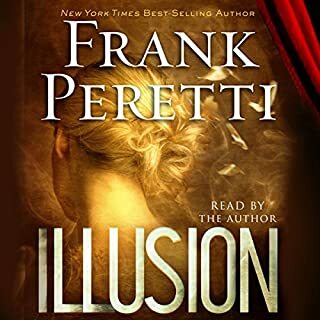 What happens next will keep listeners on the edges of their seats as the twins end up in a strange academy where truth is continually challenged. The story is a wonderful and the characters so real. The spiritual battles were a stark reminder of what we know to be true but cannot see and of the power of prayer. Although the battles were very effective I found them to be a bit too long. I couldn't put it down and cried several times I hope there is or will be a sequel. 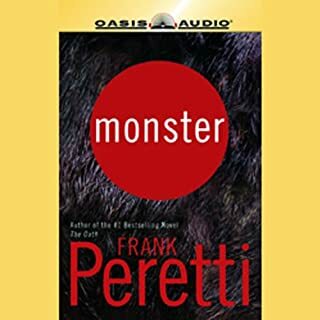 Frank Peretti writes another great book and Kevin Foley does a great job narrating it. However (at the time of this posting) Audible did a poor job creating the Audio Files. Evidentally this book was "ripped" right from the CDs and put into audible format. About every hour you hear "end of disc...please insert disc...". 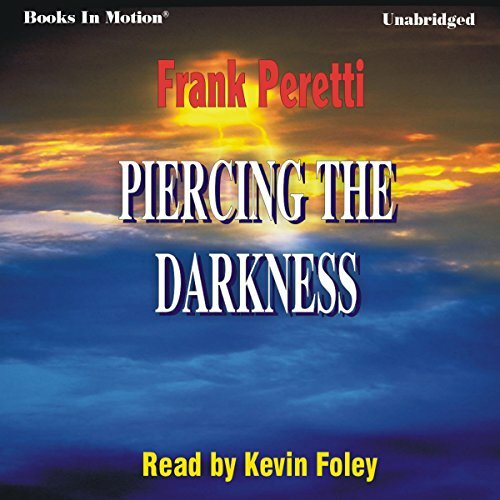 What did you love best about Piercing the Darkness? This is the world and the battles that we are facing and living in everyday now. These issues are true to life and I can see who some of the players are today in our own country. Classic light vs darkness and how we are affected and manipulated. I will be keeping this one to read another day. This book is AWESOME!!! I have personally been asking God to reveal to me more and more of when and where He is working in my life and this book helped me to see that even when God is working in others' lives, it will spill over to my life. It is very easy to imagine yourself right there with the individuals in this book. And I just love how everything tied together in the end! To say again, this book is AWESOME!! I read both books years ago. When I saw they were available I figured hey why not. The stories are not too bad, not pulizer material but they were entertaining. Not meant for children. Does make me more aware of Ephesians 6, the battles that rage around us everyday that we are not aware of and most importantly the power of our prayers. Here is is my peeve on this book, if Audible is going to sell a book then please take out the instructions to change a disc. I mean really was it just too much trouble to edit??? This is mp3 media we purchase not dvd media. REALLY ANNOYING TO LISTEN TO "This is the end of disc one. Please change to disc two." every hour or less!!!!! I loved the book and this is great too. 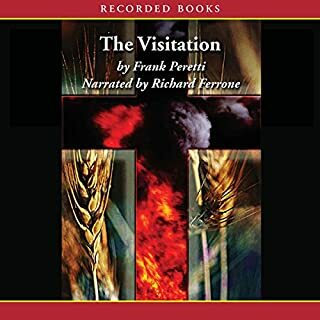 Narration is wonderful, with full story line and characters. 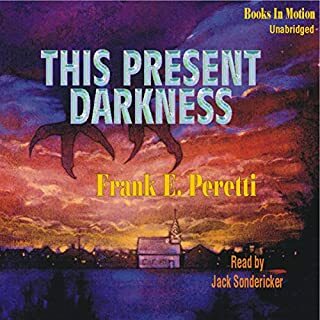 Why not have the first in the series "This present darkness"? That'd be even better! 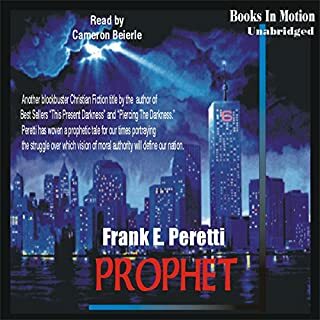 This book was written in 1987 or 88 and it is so very interesting how the issues of that day are what we as believers are dealing with today. This book kept me on edge and I never knew which direction the author would go. I HIGHLY recommend this book. It reminds the reader that we are in an unseen (daily) war. Read this book nearly 20 years ago and it's pretty cool to hear it. Kevin Foley did an awesome job. The story was fun and intriguing. The narrator was hard to listen to and they did not edit the disk 1-10 transition announcements out of the audio recording. If like me, you don't know that much about religion, this is a good listen. It's the story of a woman trying to escape a town while on high, angels and demons battle it out to aid and foil her. 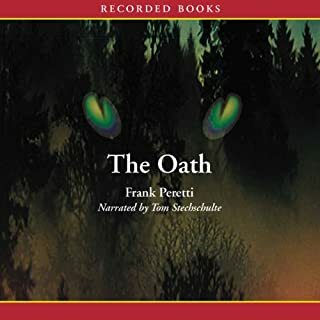 Unfortunately the CD has not been adapted for normal audible format, but other than that this book remains a great story of good vs. evil! Good but not great Christian fiction. I like the premise of angels and demons battling it out in the real world. strictly for Christians though. What did you like most about Piercing the Darkness? This was the first book i ever read cover to cover some 20 years ago, it still has the same addiction as the first time i read it. What was one of the most memorable moments of Piercing the Darkness? This was a direct copy of CDs into one file, so there would be a sentence, then "this is the end of disc ..." "disc ..." then repeating the sentence. It also didn't have big enough pauses between paragraphs where it changed characters or locations. Well presented and fast moving plot with an unraveling of truths that drive home the message of the world we live in.